Have you ever Pinned a craft, home decor idea, or recipe, and wondered if the project will really turn out if you try it on your own? 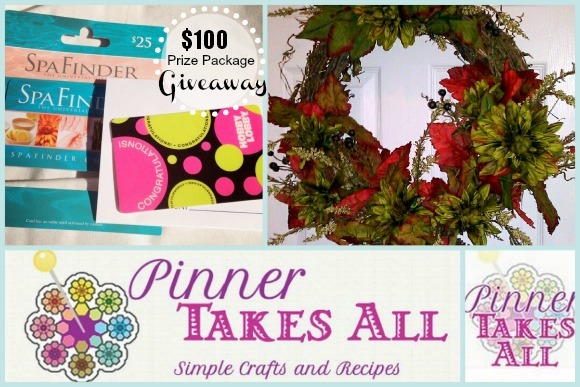 Crafty, homey readers and Pinterest fans are going to love Pinner Takes All, my newest sponsor. Kathy uses Pinterest to catalog all the wonderful ideas she finds online...and she uses her blog to share how those ideas pan out in real life. With Pinner Takes All, Kathy aims to encourage readers to tap into their creativity. In her own words, "creating is about the journey, not the final product." To celebrate her introduction here on the blog, Kathy is offering a Giveaway package to one luck reader, worth approximately $100! Keep reading for details and to enter. I started blogging in June, 2012, to find a creative outlet beyond spelling words out in Cheerios. 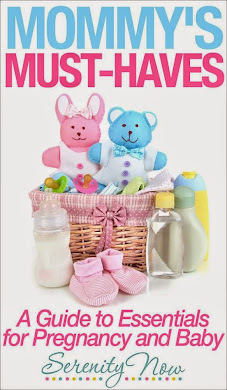 Being a mother is the best thing that ever happened to me, and being at home with my children is such a blessing; but I do miss the sense of accomplishment and something that is "mine" that came with a more traditional career. I chose the name "Pinner Takes All" as a take on "Winner Takes All" with a Pinterest twist, but beyond that it means anyone can use Pinterest (or any inspiration) to tap into their creativity. I have always been a bit of a writer and enjoy different topics for different reasons. I like crafts and recipes equally well, but my guest posts doing crafts with my kiddos have a special place in my heart. 4. How would you describe your style to a new reader? My signature style in crafts is easy DIY and in my food I aim for healthy versions of comfort food. My writing style I like to think of as friendly, with a sense of humor, and not taking myself too seriously. 5. Which post are you most proud of? 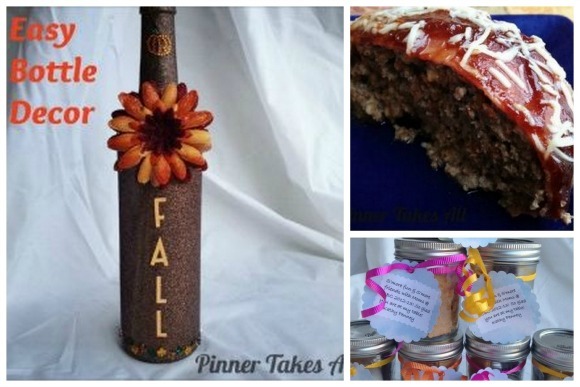 Either my Fall Bottle Craft, the DIY S'mores Jars, or the Meatloaf Recipe. 6. When your family has time together, what are some special activities and/or meals you share together? I have a baby and a toddler, so that keeps us pretty busy getting through the day, but our family loves to go to the beach or take small road trips or outings to the zoo or park. Most of what I cook is on my blog, but another favorite family dish is my husband's steak pie that is a UK specialty- a bit of the homeland for him and yumminess for me. 7. Anything else you'd like readers to know about you, or your blog? I would just like readers to know how much I appreciate them taking the time to read my little corner of the internet about my crafting and cooking adventures (sometimes misadventures) and I am just so grateful for their comments. I hope you'll take a moment to pop over and encourage this new blogger at Pinner Takes All! You can also find Kathy on Facebook, Twitter, Google+, and (of course!) Pinterest. Please use the Rafflecopter system embedded below to enter (you'll have to click over if you're viewing this in a reader or email)! This sounds like a fun blog. I'll be sure to check it out. The S'Mores in a jar would be a cute party favor. I love her little napkin rings! i like the gift in a jar idea with the smores! Hey Amanda! Thanks for the introduction to Kathy. 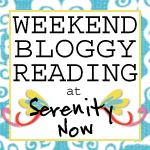 What a good idea for a blog! I especially liked the s'more jars--I can imagine that my boys and their friends would really like these. It would be fun to try to make these cute for guys! Love those smores in a jar! Thank you, Amanda for your beautiful write up. I'm excited about the giveaway! Good luck to everyone and thank you SO much for stopping by my little corner! The smores jars would be great! Thanks for introducing us to Kathy and her fun blog. I am partial to chalkboards, so that's my favorite. Those Smore's in a jar are cute! I like the "Bling-y" pumpkin! So cute. I think I would like to try the S’More in a jar. the smores gift in a jar is perfect since we're having a fire pit built in our backyard and they'd be great favors for our pit opening party! I would like to try the minnie mouse shirt! so cute! Thank you again for the comments or stopping by Pinner Takes All. I have went through and tried to visit and return all the comment love and check out your own amazing spots. And thank you to Amanda for hosting the giveaway and the awesome write up. The S'mores in a jar looks great! I'd like to try the Easy Peasy Napkin Rings! Pork Chops In The Crock Pot! 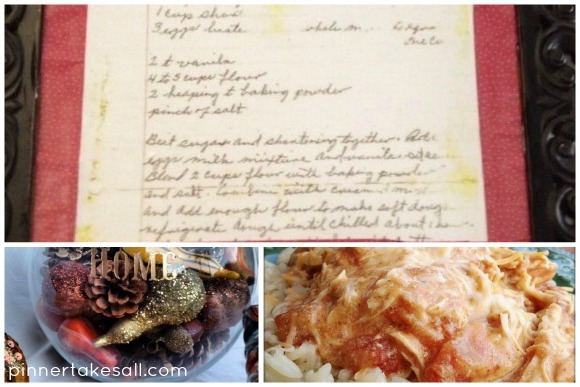 I love the Marinated Pork Tenderloin Recipe! Lots of great projects!! I have several wine bottles--putting the painting bottle on my to do list. I like the spray paint art. Thanks for the party! I love it :) I linked up Holy Guacamole-a guilt free dip-bright green and perfect for Halloween! I want to try the painting on pumpkin projects. On my list to do this fall! Her s'mores jars are brilliant! Love the Holiday Decor from the Dollar Store! What a cheap way to decorate. Thanks again for all your kind words on my blog and projects. I've visited everyone that had a blog listed. Happy Sunday! I'd love to try the Bottle Craft and Grains!